It use to be that only the iPhone received all the "love" from case manufactures. But no more. If you have one of the hot Android smartphones then chances are that many companies are creating cases for your phone. And one of the hottest smartphones of the moment is the Nexus 4 by Google. The Nexus 4 was sold out from the moment that it went on sale in the Google Play store with people buying it all over the world - from the United States, to Europe, to India to China. If there was ever a phone that needed a case, it is the Nexus 4. This smartphone is beautiful, yet fragile due to its all glass back panel. This is definitely not a phone that you should carry naked - it needs protection. So if you have or are thinking about purchasing a Google Nexus 4, then I know a case that you need to consider - the Rearth Ringke Discover Leather Diary Case. Hand-made using quality natural cow hide, the Ringke Discover case by Rearth not only protects your Nexus 4 but also features internal pockets for business cards, cash, ID and notes. It's a smartphone cover and slim wallet in one. 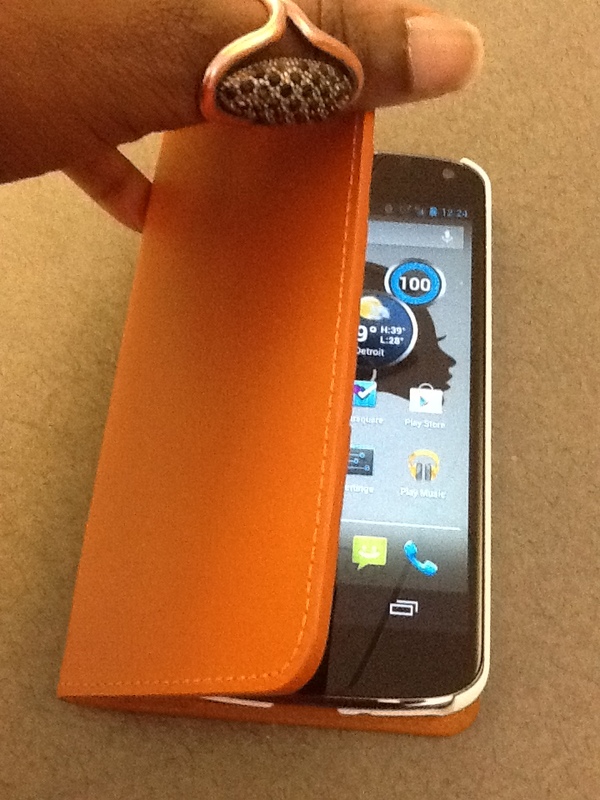 The Nexus 4 smartphone fits very nicely into the leather cover's white plastic casing which has cutouts for all the phone's functions including the charging port, on/off button. camera and volume controls. 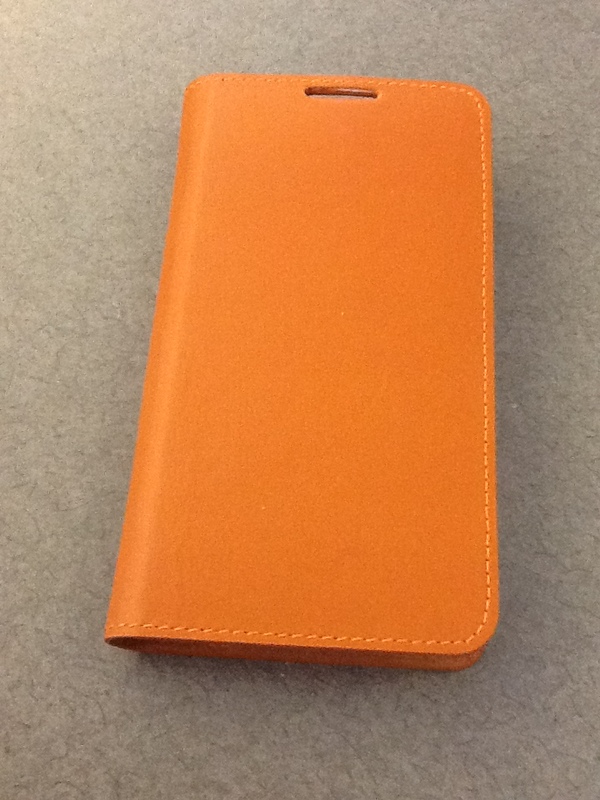 The leather is butter soft and the demo unit that I was sent is a beautiful Carmel tan color. Inside the cover, on the left side, are three slits that can hold cash and credit cards and a pocket that runs the length of the case that can hold all kinds of items like your driver's license, notes and more. The pocket could probably also be used to hold the backing of a slim notebook, although it might make closing the cover more difficult. I really like the Ringke Discover case and I love that I can now keep my ID and money with my smartphone in one stylish unit that fits nicely in my coat or inside purse pocket. But I did have two issues with the case. The leather of the case is too thick for me to charge my Nexus 4 wirelessly using my Energizer Qi Charger so I have to remove the case for wireless charging. Also the case's white plastic holder fits the Nexus 4 so snugly that it is difficult to pop the phone in and out of the holder. 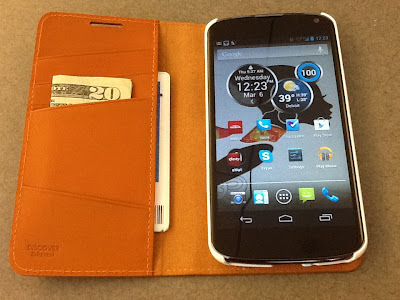 - The case does not get in the way of using any of the Nexus 4 functions. The Ringke Discover case by Rearth is a beautiful, high quality smartphone case for the Nexus 4 that is a slim wallet and case in one. If you don't charge your Nexus 4 wirelessly, and plan to leave the phone in the case, then the Ringke Discover is probably a case you will find next to perfect. 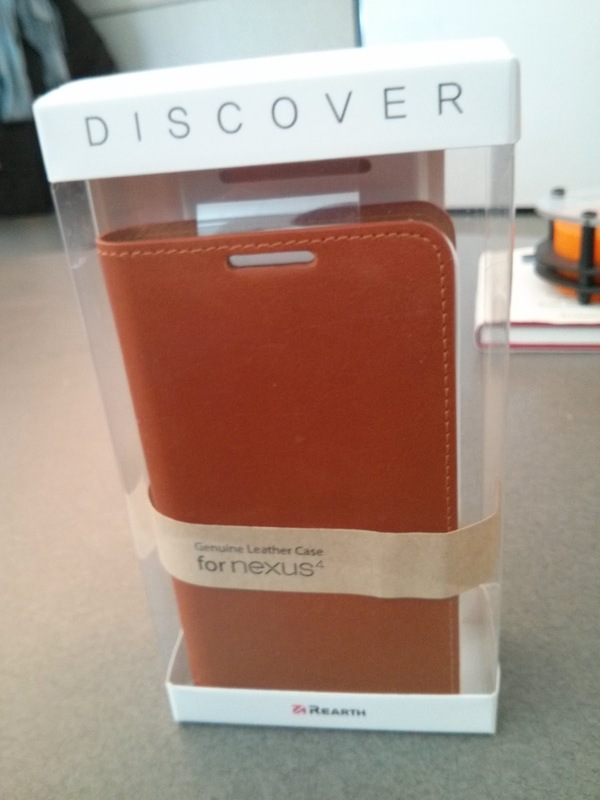 Disclosure: I recieved a complementary Ringke Discover case by Rearth for the Nexus 4 for review. All opinons are my own.